July 10, 2015 (San Diego’s East County) – Across the nation, people have flocked to owning backyard chickens and other poultry. But now the Centers for Disease Control has issued a warning not to cozy up to your backyard birds. That’s because four separate Salmonella outbreaks linked to backyard flocks have sickened 181 people in 40 states, including several cases in California. Who knew that chicken snuggling was so popular? May 21, 2010 (San Diego) -- The County of San Diego Department of Environmental Health is investigating three illnesses that match a Salmonella outbreak linked to three brands of alfalfa sprouts. Consumers and local grocery stores are urged to check for the recalled products. The products are connected to 23 illnesses in 10 states, including 11 people in California. The latest known illness was on May 2. Six cases nationwide have required hospitalization. 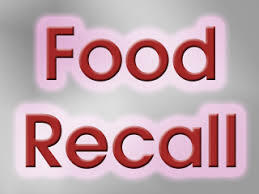 March 12, 2010 (Washington D.C.) -- Yesterday the U.S. Food & Drug administration listed 153 food items subject to recall for hydrolyzed vegetable protein believed contaminated with salmonella. The list includes boullion, dressing and dressing mixes, flavoring base and seasoning products, frozen foods, gravy mixes, prepared salads, ready-to-eat products,sauce and marinade mixes, snack foods, soups and soup mixes, dips and dip mixes.